You walk into the bar (no this is not how the joke starts) and you see patrons enjoying fresh glasses of craft beer. Looking around you don’t see a bartender in sight. What gives?! Canvasing the area, you notice numerous beer taps along the wall. What?? Is this real?? Could it be?? Yes, you’ve stumbled (or walked) into the newest bar trend that is going to shock the market and change the way you enjoy craft beer. The newest trend is self-serve bars. Yes, you heard that right, self-serve! 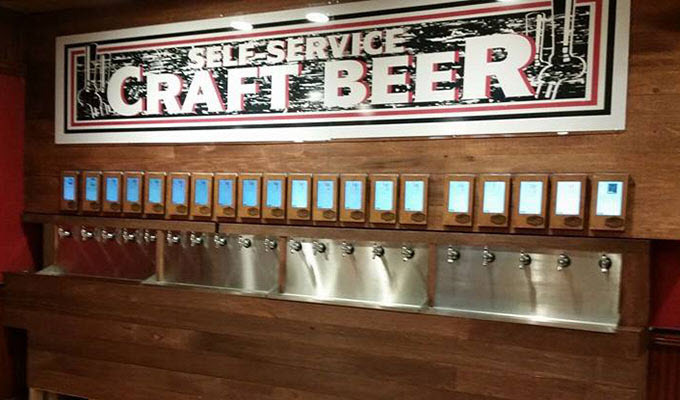 A new company “Pour My Beer” has developed a system to allow patrons to serve themselves. Why someone didn’t think of this long ago is beyond me. The system, which has been installed in over 200 establishments world wide is catching on quickly. Josh Goodman, the founder of the “Pour My Beer” software told CNBC that he was inspired by the idea when he couldn’t get served in a crowded bar and thought there has to be a better way! The system works like this, patrons put money on a pre-payed card and the software reads the card at each tap. 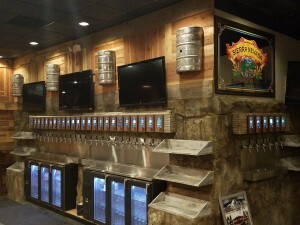 There is a small screen above each tap that provides information about that type of beer so you can make a more intelligent choice and adds to the experience. The screen also tells you the cost of each pour to includes any tax and tip. The electronic system also puts a temporary suspension after every second drink poured per customer to ensure the patron has not reached beyond their personal limit. This is a win-win for both the patron and business owner. 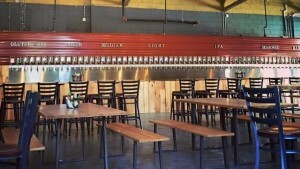 The Pour My Beer website touts that it is 400% more efficient than other methods of dispensing beer. Due to no waist and lower cost of goods leads to higher business profits. Check out this new trend that has yet to sweep the nation, but we think it is the bar of the future. If you get a chance to visit one of these establishments, please let us know your thoughts.